You thought your son was just “experimenting” with drugs, but had stopped. Now he’s failed a drug test for his work–study program at school, and you know: this is serious. Your teen daughter is hanging around with kids who are notorious for drinking and partying on the weekends. She’s come home drunk twice this month. This morning you found vodka in her room. What do you do? The following is an excerpt from Life Over the Influence, the program created by Kimberly Abraham LMSW and Marney Studaker-Cordner LMSW, therapists and experts in helping families who are struggling with substance abuse issues. There is a difference between rescuing your child and going to the other extreme of giving up. If you’re reading this article, you’ve got pretty good reason to believe your teen is abusing substances. Rather than focus on getting your teen to admit he’s using, or the degree of his use, we’re going to focus on what you can do to respond to the issues that result from that substance use. The first thing you can do is be proactive. Remember when your child was a toddler and you put baby gates across the stairs, locks on the cabinet doors and you put all your breakables out of his reach? Well, it’s time to teen–proof your home now. If you drink or use substances, lock it up. Or better yet, get it completely out of the house. If you have prescription medications, lock those up too. Don’t assume that just because your teen is using one substance, he’s not open to getting high in a different way. You may be thinking, “This is my home, I shouldn’t have to lock things up.” Would you have said that when he was a toddler? “This is my home! I shouldn’t have to put the poisonous cleaners in a locked cabinet just because he’s two.” Your teen is still a minor, and whether you should have to teen–proof the home is beside the point. It’s still a part of parental responsibility, and it’s something you can actually control. I’m Afraid of What I Might Find in His Room. Besides, it Smells in There…. Parents often wonder where to draw the line with privacy when a teen may be using substances. Remember, this is your home. Privacy is a privilege. Is it a good idea to read your thirteen–year–old’s diary just because you’re wondering if she’s mad at you? Of course not. But if you suspect your teen is using substances, privacy goes out the window. It’s your home, and your right and responsibility to make sure illegal substances are not in your house, because you will be held responsible. That’s real life. If you had a tenant, and thought he had drugs in the room, would you say, “Oh, I don’t want to upset him by invading his privacy.” Of course not! If you find substances in your child’s room, you will have to decide what course of action you’re going to take. You know your child best. It’s a judgment call as to whether or not you should call the police. If it’s the first time you’ve discovered the substance, you may decide to flush it and let your child know, “Look, I found pot and I flushed it. If I find it again, I’m calling the police.” If you’re concerned the substance abuse has reached a level where the court should be involved, you may choose to call the police the first time you find it. The type of substance found may also play a role. If you find liquor, that may strike you differently than if you find heroin. Even with liquor, he can be charged as a minor in possession. Make sure you are prepared for the court to be involved if you call the police. Many teens will actually have the nerve to be angry at their parent for flushing their stash. They may even tell you, “Hey, you owe me money for that!” You can respond calmly and let your child know, “Would you tell the police they owed you money if they took it? This is real life. 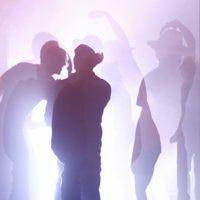 If you bring it into my home, you’re going to lose a lot of money, so make an informed choice.” By doing this, you are starting to make substance use uncomfortable for him, and you are establishing a firm boundary. I Need Some Weed…Can I Get Twenty Dollars? If you know, or even suspect, that your child is using substances, one of the best ways to put a wrench in his buying is to cut off his cash flow. Now is the time to close the First National Parent Bank & Trust. Don’t give cash for things like movies, lunch, clothes. Write a check or pay the school directly for lunches, or let him brown bag it. Buy the clothes yourself. Don’t give cash for birthdays or holidays, or big–ticket items he can pawn or exchange for drugs. That doesn’t mean you can’t do anything for him for special occasions. You could offer to take him to a movie or an event—something he can’t cash in to support his use. If you start to feel guilty for not giving money, remind yourself that any cash could go to support his use, and you’ve made this decision in his best interest. So what can a parent do when a well–intentioned relative gives your child cash, after you’ve withheld it? Tell Grandma or Aunt Sue why you’re withholding money, and educate them on what could happen if they give your child cash: he could use it for drugs, and they could actually be supporting his substance abuse, not buying him the jeans he said he needed. You can’t control these family members, but if you’ve let them know what the situation is, they can make informed decisions themselves, and it’s not a secret. Remember real life: your child will eventually be an adult, and he may go to relatives any time he needs or wants something. They will have to make their own decisions on what they’ll choose to do. What if your teen works and uses his own money for drugs or alcohol? What can we, as parents, do then? Not a whole lot. That’s a personal boundary, and you can’t control it. Your child’s job may actually be a positive thing for him, and he may have worked hard for that paycheck. The lesson may be, “Huh, my whole check’s gone on a bag of weed.” That’s a natural consequence, and your child will have to decide if it’s worth it to him. Again, in real–life, many people blow their money on things that aren’t good for them. The difference between caring and care-taking comes down to clear, consistent boundaries. When your child was five, you were literally his caretaker. You held his hand when he crossed the road, cut his meat for him and monitored him closely. Over the years, you’ve allowed him to make more age–appropriate choices, and begin to experience and learn from natural consequences. He stays up too late, and he’s tired the next day. The lesson he learns: If I don’t want to be tired all day, I need to go to bed at a certain time. He leaves his homework until the last minute, rushes, and fails the assignment. The lesson he learns: If I don’t put some effort into my class work, I’m not going to do well. These are lessons we all learned in life as a normal part of development. As adults, we continue to learn lessons through natural consequences every day. So why do we tend to fall back into care-taking mode when our teen starts using substances? Because it’s scary, even terrifying, and it feels like there is so much riding on his choices. Remember, the best we can hope for as parents is to prepare our kids for real life. In the real world, your child will encounter many situations in which a lot will be determined by his choices. As adults, we make important decisions every day. Your child will, as well, his entire life. If you rescue him from natural consequences now, it’s simply delaying those life lessons. This is important: there is a difference between rescuing your child and going to the other extreme of giving up. We’ve addressed the rights and responsibilities that are part of parenting a child who is using substances. If there’s an area you’re unsure of, or if you’re encountering a particularly difficult situation and aren’t certain what your rights or responsibilities are, consult a professional therapist. Ultimately, you know your child best, and while these guidelines can help you establish boundaries and hold your teen accountable, you must use your best judgment when making decisions regarding your child. 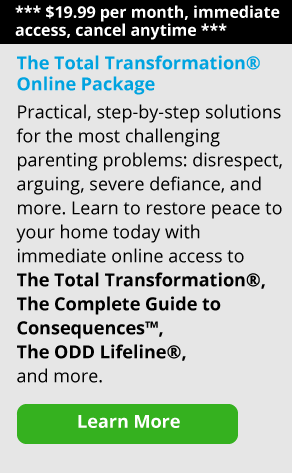 * Editor’s Note: This article is an excerpt from Life Over the Influence, a program created by Kimberly Abraham LMSW and Marney Studaker-Cordner LMSW, therapists and experts in helping families whose members are struggling with alcohol or drug use. This excerpt addresses a small piece of the very large issue of substance abuse.